A great way for children to keep healthy is to make their food fun. Fruit is delicious but also full of colour and texture which provides a great opportunity for learning through touch, smell and taste. 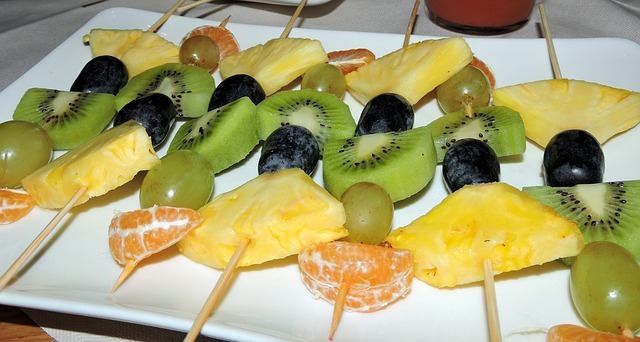 A fruit kebab looks delicious and is also fun to make; all you need is a variety of fruit which can be bought at any local supermarket and some skewers. Making food fun gives children the opportunity to be able to show an interest in what they are eating. Colours, textures, smells and taste can all be learned through active learning.